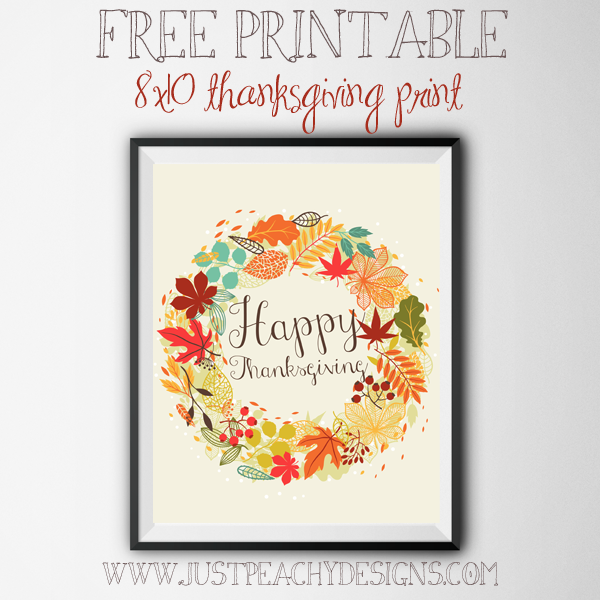 Here's another 8x10 printable to add to your Thanksgiving decor. It features a beautiful wreath composed of lovely fall foliage. Just click the image above to download. Happy Thanksgiving! For more Thanksgiving freebies - including lunch notes, treat bag toppers and digital papers - just follow this link.